Organized in 1984 and disbanded in 1990, there is no way to deny the facts that this band lived a very short life and that there are only 4 original albums [DEAD LINE](1986), [GHOST OF ROMANCE](1987), [SHAMBARA](1988) and [ZERO](1989) produced and released by DEAD END. In fact, although [DEAD LINE] set the record for highest indie’s sales, the record has been reset many times over the years. Also, the 3 albums after their major debut never made it to the top 10 on the album chart. Nonetheless, they definitely left a deep, enormous impact that did not necessarily reflect on such data. In simple words, DEAD END was a band that changed how a real Japanese rock band “should be.” You may argue that it’s an overstatement, but if they didn’t make themselves an example, all the bands after the 90’s would have been completely different in terms of their music, visuals and philosophy. After all, the fact that DEAD END had tremendous influence in the scene has been proven by the success of the generation inspired by them. I’d rather not list the names of those bands here, but there are a countless number of artists who publically admit that they have been influenced by DEAD END directly or indirectly, including the icons of visual bands. Many of such bands strongly believe that Nippon Budokan is an essential stepping stone on the road to success and yet DEAD END never reached that stepping stone. This irony is just another evidence of DEAD END’s historic presence as a pioneer. 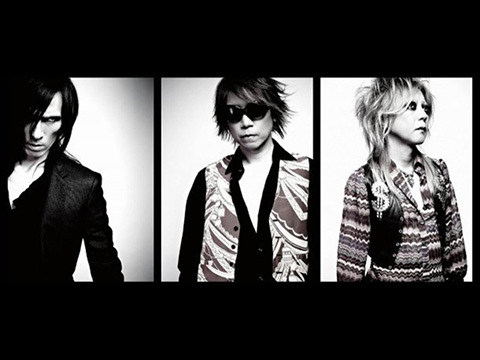 In the summer of 2009, DEAD END suddenly announced their revival. This was an unexpected action for a band that has been completely irresponsive to the voices and talks of their revival for all these years. In other words, this episode of their return is not for those who have been longing to see them back in the scene, but for the band itself. This is the most important point here. The reason and the story behind how the 4 members, MORRIE (vo. ), YOU (gt.) CRAZY COOL JOE (ba.) and MINATO (dr.), decided to make a comeback as DEAD END are still unrevealed. However, if you’re one of those who have love and respect for DEAD END, you should already know that they’re not the type of people who would consider the comeback from mere nostalgic feelings for stage and that their history is all about looking for ‘the portrayal of tomorrow’ rather than that of yesterday’s. I suppose they haven’t changed a bit. What will happen now that these 4 members have reunited? Their curiosity and anticipation for their own band must be part of the motivation. The reason for such motivation is that they seem convinced that they have their own special chemical reaction with one another. On 8/15/2009, after a long silence, DEAD END chose the enormously spacious Makuhari Messe as the first stage of their revival. With this new start point, no one actually knew what kind of story DEAD END would continue to write. Yet, I can assure you of one thing that no one will be able to keep DEAD END trapped in their own world of legend anymore. So, there is no need to resent the history, or to regret the fact that you didn’t get to live the same days that DEAD END did. Through countless dark nights, the time has come to face the bright light. This light will come through very soon.